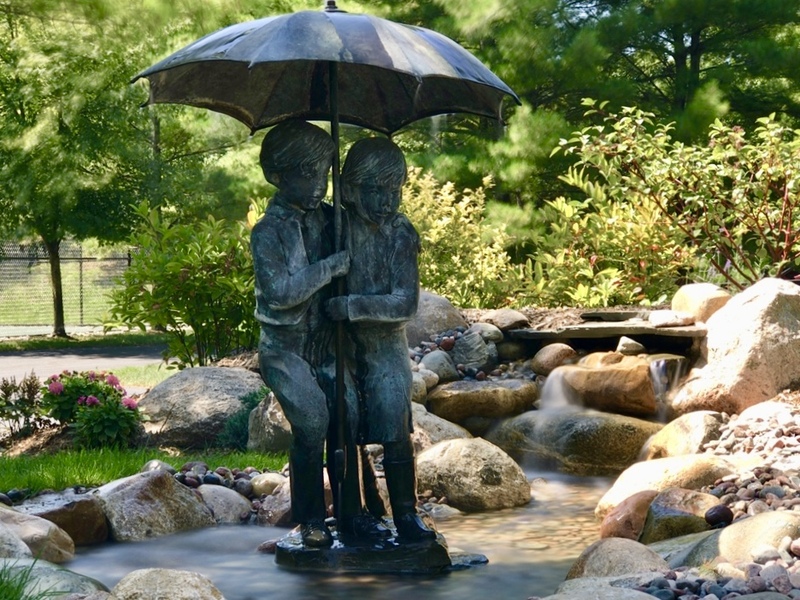 Your yard and home are special so why install a ho-hum fountain? Put a punch of style or sophisticated whimsy in your yard with our Artisan Fountains. Whether you are looking for a core drilled boulder, unique vase or a David Austin design we have the look and style you want. Vases, urns, boulders etc can all be added to an existing pond too! Many options also come with a fire insert for some added drama on those summer nights. Adding water inside your home can be a dramatic statement. Spillway bowls are a fun way to bring drama into any space especially in Michigan where water is the whole point! michigan is a great place for an indoor pond!